Atlanta, the bustling capital city of Georgia, is one of the best transportation hubs in the United States. With several Sixt branches in the city you can select where it is most convenient for you to rent a car in Atlanta. You can opt for a car rental from the Atlanta Hartsfield International Airport, which hosts hundreds of international and domestic flights per day as the headquarters of Delta Airlines. Or see about the great deals available from Sixt on car rental in Atlanta at our Atlanta Buckhead or Midtown locations. No matter your location in the city, Sixt has you covered with great deals on your car rental Atlanta. 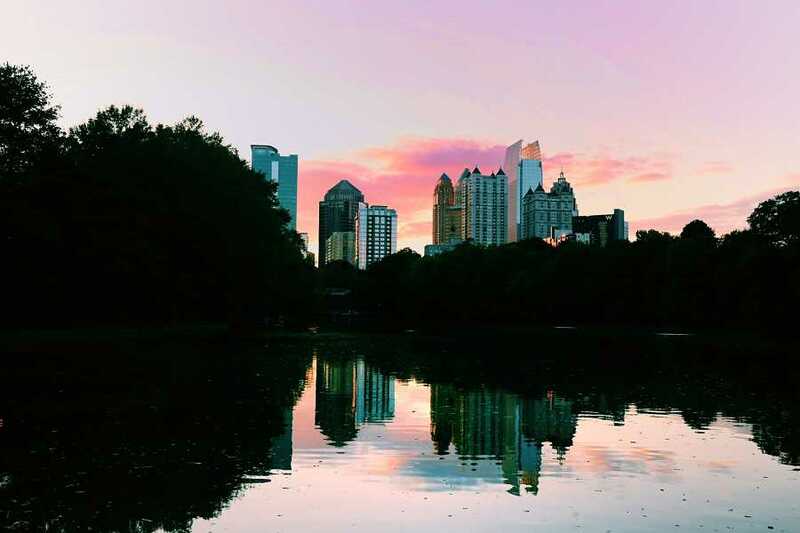 While planning your trip, browse our branch locations to find the right one for your visit to Atlanta. Some of our Atlanta branches offer extra services such as 24 hour vehicle returns and the chance to reserve the rental vehicle of your choice 30 minutes prior to pick up. Whether you are in town for a quick business trip, just the weekend, or an extended stay we can help accommodate your mobility needs. The winter weather might not be as warm as you think, but is still mild enough to enjoy. On average, between December and February, temperatures hover between the mid-30s and mid-50s with some rainy days. There are plenty of holiday events every year from late November until early January. These include the Winter Wonderland, lighting displays at the Atlanta Botanical Garden, and the ice rink and lighting display at Centennial Olympic Park. There is also a Chinese Lantern Festival in the park from mid-December until mid-January. Celebrate the legacy of Martin Luther King Junior on his holiday in January. You can head out of town to Stone Mountain to see the Christmas lighting displays. And if you need a rainy-day activity, head to the World of Coca-Cola holiday exhibit. Rent a luxury sedan with climate control to stay warm when the temperatures dip. At all of our Sixt car rental Atlanta locations, we have a wide selection of top quality rental vehicles that are well-maintained and regularly updated. We offer a range of options for economy cars to luxury car rentals from leading brands such as BMW and Mercedes-Benz. Whether you want a compact car or sedan for a city trip or a more sporty SUV or convertible we can cater to your budget and plans. While booking online or over the phone consider including add-ons to tailor your experience. Choose from extras such as GPS, additional driver coverage or protection plans. We also have child seats suitable for babies, toddlers and small children so you can travel lighter and leave yours at home. Atlanta is known for having one of the most intricate roadway systems in the United States. As the city is rather spread out, Atlanta freeways can take some time getting used to. We recommended making use of smart phone traffic apps and booking a GPS to find the best and quickest routes to your destinations. Interstate 285 is the main highway surrounding the city of Atlanta and is locally known as the Perimeter. This road can be up to 8 to 12 lanes wide and it is important to know that exit signs are numbered clockwise. One thing to keep in mind while driving in Atlanta is that often the right-hand lane on the highway is exit only lane. If you are not exiting it is best not to stay in the right lane as it can be difficult to merge back into traffic if you are planning to stay on the road. Stone Mountain is the largest exposed granite dome in North America and features a bas-relief sculpture that is the largest in the world. A day spent in the park can be filled with all kinds of activities. Circle the park on the scenic railroad, brave a ride to the mountain summit the Skyride on Swiss cable-car, or enjoy a riverboat cruise. You can also just spend time hiking around the beautiful natural landscape. From Atlanta Airport or our other branches, Stone Mountain is only half an hour away. A leader in marine conservation and research, the Georgia Aquarium is the largest aquarium in the Western Hemisphere home to several thousand aquatic species. Besides being one of the best places to interact with marine life there are special events throughout the year perfect children from sea lion shows to interactive exhibitions that are perfect for all ages. Atlanta is known for being one of the lowest-cost places in the country for conducting business. Georgia International Convention Center is the second largest convention center in the United States and can be easily reached with your rental car from both I- 85 and I-285. Besides its various halls for trade shows and exhibitions, it is also a hub for the city's film and television industry.